After drawing in both previous meetings, Orlando Pride earned its first-ever victory over Utah Royals FC, downing the expansion team 2-1 on Saturday night at Rio Tinto Stadium. Orlando Pride earned a 2-1 win over Portland Thorns FC on Saturday afternoon, defeating the 2017 National Women’s Soccer League champions at Providence Park. Orlando Pride recorded its second shutout of the season en route to a 2-0 midweek win at the Chicago Red Stars on Wednesday night. After extending its home unbeaten streak to 10 straight games, Orlando Pride prepares for a three-game road trip beginning with the Chicago Red Stars. After playing two matches on the road, Orlando Pride (0-2-1, 1 point) returns home to face the Houston Dash (0-1-2, 2 points) on Sunday, April 22, at Orlando City Stadium. Kickoff is set for 5 p.m. ET and will mark the Club’s second annual “90s Night” themed match. The match will be streamed on go90 and on the NWSL app. International fans can tune in on NWSLsoccer.com. Tickets to the match, and all remaining Pride home matches, are available at orlando-pride.com/tickets or by calling 855-ORL-CITY. Orlando enters the match seeking its first win of the season and its fifth all-time victory over Houston. The Pride began 2018 with a point at home against Utah Royals FC before falling on the road to the Washington Spirit, 2-0, and Portland Thorns FC, 2-1. 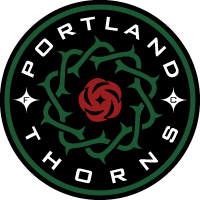 Last Saturday’s match in Portland saw goalkeeper Ashlyn Harris record a season-high six saves against the Thorns, becoming the third NWSL goalkeeper to pass the 300 career saves threshold. Chioma Ubogagu scored her first goal of the season off an assist from midfielder Christine Nairn for her league-leading 19th career regular season assist and 20th overall. The Pride are 4-2-0 all-time against Houston, Orlando’s best record against any active NWSL team, and are 2-1-0 when playing in Central Florida. Six Orlando players have spent time with the Dash in some capacity. 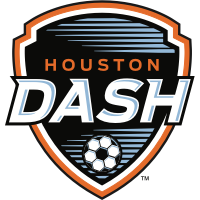 Camila (2015), Poliana (2016-17), Toni Pressley (2015) and Ubogagu (2016) played for Houston, while Lotta Ökvist was acquired by Houston in the 2018 Dispersal Draft and National Team Player Replacement Abby Elinsky was selected No. 30 overall in the 2018 College Draft. The Pride will be without their Brazilian and Australian players for the final time, as both countries wrap up their respective FIFA Women’s World Cup qualifying tournaments this week. All five players - Marta, Monica, Poliana, Alanna Kennedy and Emily van Egmond - are expected to be available for the Pride’s next match on April 28 against Seattle Reign FC. Houston is coming off a 3-0 loss to the Chicago Red Stars on Wednesday. Dash forward and captain Kealia Ohai, who sustained an ACL injury last year, could make her 2018 debut on Sunday. The Notre Dame product has scored 22 goals in 75 appearances for Houston. Other key players for the Dash include England national team defender Rachel Daly, defender Amber Brooks and U.S. Women’s National Team goalkeeper Jane Campbell. The Dash boast a new look for the 2018 season after announcing former South Africa manager Vera Pauw as the second head coach in team history. Upon her hiring, Pauw added two South African players, Thembi Kgatlana and Linda Motlhalo, to join Janine van Wyk on the Houston roster. Overall, the Dash have added 13 new players since the end of the 2017 season. Orlando Pride played to a 2-0 finish on Saturday afternoon, falling to the Washington Spirit at Maryland SoccerPlex. The Pride were playing without three of their Opening Day starters, as Brazilians Marta, Monica and Poliana as well as Australians Alanna Kennedy and Emily van Egmond are currently preparing for Women’s World Cup qualifiers with their respective national teams. Forward Alex Morgan was also ruled out of the match after sustaining a concussion in the Pride’s opening game last Saturday. The Spirit connected on the counterattack in the 80th minute, off the foot of U.S. Women’s National Team forward Pugh. Ashley Hatch made it 2-0 in the 88th minute. Orlando returns to action on Sunday, April 15, when the Pride visit Portland Thorns FC. Kickoff is set for 6 p.m. ET. The Pride return to Orlando City Stadium on Sunday, April 22, when they host the Houston Dash at 5 p.m. ET. In the first match of its third National Women’s Soccer League (NWSL) season, Orlando Pride (0-0-1, 1 point) drew 2018 expansion side Utah Royals FC (0-0-1, 1 point) with a 1-1 final on Saturday night. Marta became Orlando’s all-time leading scorer when she equalized from the penalty spot in front of 9,017 fans in attendance. Five players made their Orlando Pride debuts in the starting XI. Defenders Carson Pickett, Shelina Zadorsky and Poliana started on the back line alongside Ali Krieger. Christine Nairn made her Pride debut next to Toni Pressley and Dani Weatherholt and Sydney Leroux started up top with Marta and Alex Morgan. Goalkeeper Ashlyn Harris wore the captain’s armband. Utah got the match off to a fast start with a goal on the counter in the third minute when Diana Matheson found Gunnhilder Jonsdottir in behind the back line. The Pride continued pressing and earned a penalty kick in the 19th minute when Pickett served a ball into the box for Weatherholt, whose first-time rip was handled by Utah captain Becky Sauerbrunn. Marta stepped up and calmly finished into the side netting. The goal was her 14th with Orlando, which passed Morgan for the most goals in Pride history. Sermanni pressed for the go-ahead goal with second-half substitutions of Chioma Ubogagu for Morgan and Rachel Hill for Pressley. Hill showed great energy, at one point running onto a ball and playing it into the box before chasing her own pass and nearly drawing a second penalty. Morgan left the match just before the halftime whistle after a hard collision with Utah goalkeeper Abby Smith just outside the box. She is currently being evaluated per the league’s concussion protocol. Orlando returns to action on Saturday, March 31, when it visits the Washington Spirit. Kickoff is set for 3:30 p.m. ET at Maryland SoccerPlex and will be nationally televised on Lifetime. The Pride then visit Portland on April 15 before returning to Orlando City Stadium on Sunday, April 22, to host the Houston Dash at 5 p.m. ET. Tickets for the remaining home games can be purchased at orlando-pride.com/tickets or by calling (855) ORL-CITY. Orlando Pride have signed former University of Central Florida midfielder Bridget Callahan as a National Team Replacement player ahead of Saturday’s 2018 National Women’s Soccer League season opener. Entering the first week of the 2018 National Women’s Soccer League regular season, Orlando Pride has announced its roster for Opening Day. The Pride open their third campaign on Saturday evening, hosting expansion side Utah Royals FC at Orlando City Stadium. Kickoff is set for 7:30 p.m. ET. Midfielder Camila Martins Pereira has been placed on the 45-day disabled list to begin the season. The Brazilian international is currently recovering from an anterior cruciate ligament tear (ACL) and medial collateral ligament (MCL) sprain in her right knee sustained on Sept. 30, 2017. Australia's Alanna Kennedy and Emily van Egmond will report to Orlando following the conclusion of Australia’s 2019 FIFA Women’s World Cup Qualifying, which runs April 6-20 in Jordan. Orlando Pride wrapped up its preseason play on Thursday night, downing the University of South Florida 5-1 at Corbett Stadium. Three Bulls have joined the Orlando squad preseason roster. The Pride’s next match will kickoff the 2018 National Women’s Soccer League season, when the Pride host Utah Royals FC at 7:30 p.m. on March 24. The Pride had five different scorers in the match. Sydney Leroux made it four goals in three matches just four minutes into the match, sending in a tight angle shot from the left side. Christine Nairn got the play started, chipping a ball up to Carson Pickett on her way to the left byline, setting up a cross to Leroux. Orlando doubled its lead in the 19th minute after Kristen Edmonds, playing in her first match this preseason, fed Danica Evans on the doorstep. Dani Weatherholt made it a three-goal lead just before the halftime whistle, cleaning up the rebound on a late corner. Nairn picked up an assist in the 58th minute, dropping a ball in for Chioma Ubogagu for her first goal of the preseason. The Bulls got on the board in the 72nd minute, but the celebration didn’t last long as Nairn responded from the ensuing kickoff, scoring on a long distance blast directly off of the restart. Individual and season tickets are currently on sale at orlando-pride.com/tickets or by calling (855) ORL-CITY. Orlando Pride signs Australian international Alanna Kennedy to a new contract. Per team and league policies, terms of the contract were not announced. Kennedy, 23, appeared in all 25 matches in her first season with the Pride, becoming a staple in the midfield and leading the team to the NWSL Playoffs in 2017. Selected to the NWSL Team of the Month in September and an NWSL Goal of the Week winner, Kennedy contributed to the offense significantly, scoring five goals, including Orlando’s lone goal in the NWSL semifinal. Prior to becoming a member of the Pride, Kennedy spent her first NWSL season with the former Western New York Flash, appearing in 15 matches and leading the team to the 2016 NWSL Championship title. In addition to her two seasons in the United States, Kennedy has spent a significant amount of time playing in her home country of Australia for several teams in the W-League. Her accomplishments include being named Sydney FC Player of the Year in 2016, appearing in the Premiership and Grand Final as a member of the Perth Glory in 2014 and winning the W-League Championship in 2013 with Sydney FC. Most recently, Kennedy helped lead Melbourne City FC to the 2017-18 W-League Championship, the team’s third straight title win. As a member of the Australia national team, Kennedy played in both the 2016 Summer Olympics and 2015 FIFA Women’s World Cup, reaching the quarterfinals in both tournaments. Kennedy earned her first national team call-up for the Matildas under Sermanni in 2012. Since then, Kennedy has remained a regular member of the team and is currently competing with the team in the 2018 Algarve Cup in Portugal. In the 2017 Tournament of Nations, which Australia won, Kennedy helped the Matildas beat No. 1 U.S.A. and then-ranked No. 6 Japan and No. 8 Brazil. Kennedy, as well as teammate Emily van Egmond, will join the Pride following the conclusion of Australia’s 2019 FIFA Women’s World Cup Qualifying, which runs April 6-20 in Jordan. Entering the third week of the National Women’s Soccer League (NWSL) preseason, Orlando Pride has announced its current preseason roster. Departed from Week 1 camp are Marta and Monica, who are currently with Brazil for a national team camp. In addition, Pride Head Coach Tom Sermanni has brought in seven new trialists, all who have recently participated in the team’s first two preseason matches. Marta and Monica, as well as Poliana, Alex Morgan, Ashlyn Harris, Shelina Zadorsky and Nádia Gomes will return to the Pride next week following international duty. The Pride will play their final preseason friendly on Thursday, March 8, traveling to face the University of South Florida at 7 p.m. ET. The Orlando Pride is a professional women's soccer team based in Orlando, Florida. The team joined the National Women's Soccer League (NWSL), the top level of women's soccer in the U.S., for the 2016 season. 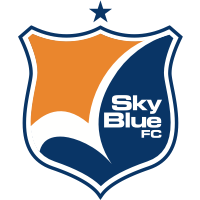 The tenth team to be added to the league, they are affiliated with the men's team Orlando City SC in Major League Soccer. They play their home games at Orlando City Stadium. The Pride hold the record for hosting the largest attendance in National Women's Soccer League history, with 23,403 on hand to witness the Pride's inaugural home game, a 3–1 victory over the Houston Dash on April 23, 2016.